The Little Round Table: Is It Salsa Yet? I'm joining everyone over at Between Naps On The Porch for another Metamorphosis Monday! Come on over with all your favorite makeovers, DIY projects, show us what you've been up to. the move to raised beds. There are only two of us here on a regular basis, so it isn't truck farm size, but at 20' x 20' has proved just about the right size for daily picking and putting up things for use through the winter months. 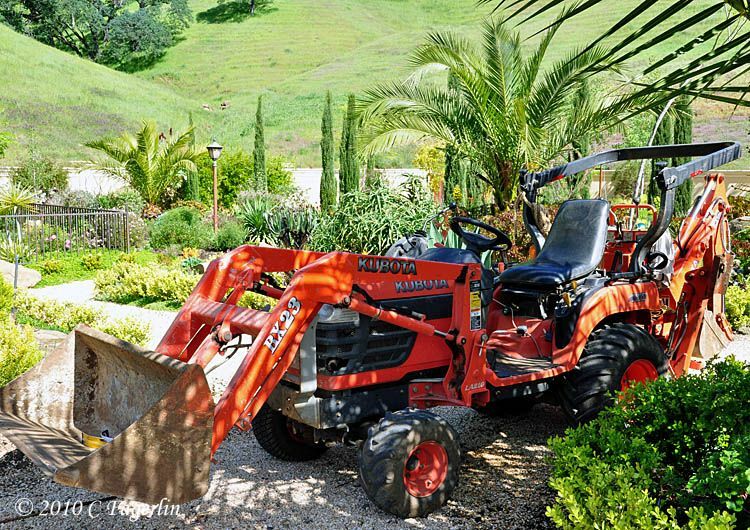 And the main ingredient to the success of this project was our little orange tractor. Most of the projects we've done in the last three years would have been impossible without it. 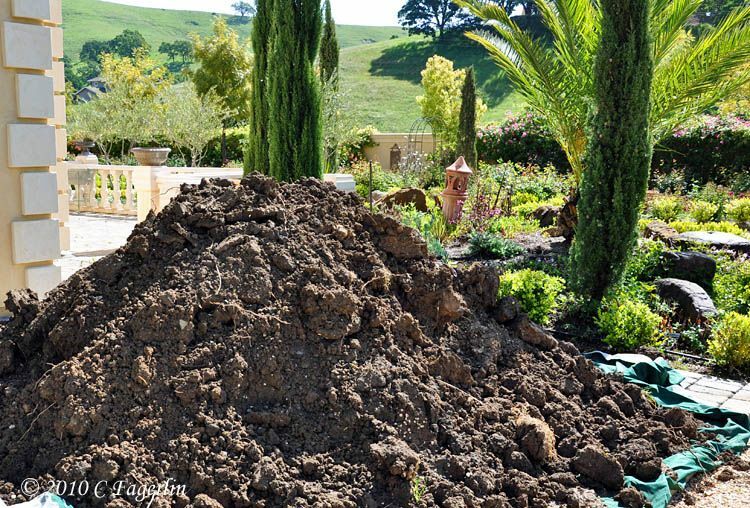 Once we had the original soil removed, this is what we started with. The 12" spikes, the rebar and the black strapping was used to stabilize each of the three raised beds, so they won't shift over time. of easy access. Worked like a dream and I couldn't get them planted fast enough! Two down and just one more to go. And the third one is in. front edge along side the gravel path. It is on my to do list! are approximately 16' x 3' of actual planting space. Even with unseasonable monsoon rains, wind and hail, the garden is beginning to become established. course working with great soil is making life wonderful too! schedule decreed by the automatic sprinklers. Sometimes simpler is better. Just breathe in deeply ...... can you stand it? ..... it's better than perfume! 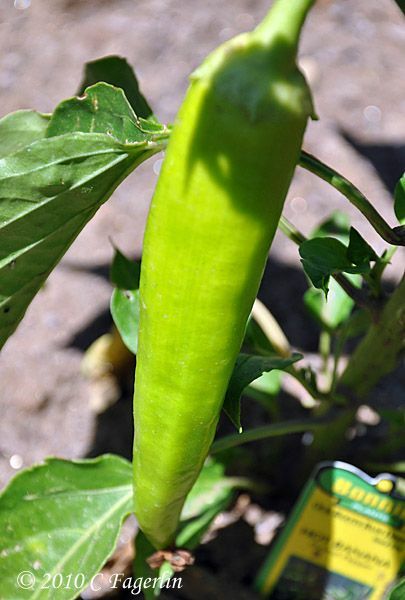 There are half a dozen types of peppers almost ready for picking! 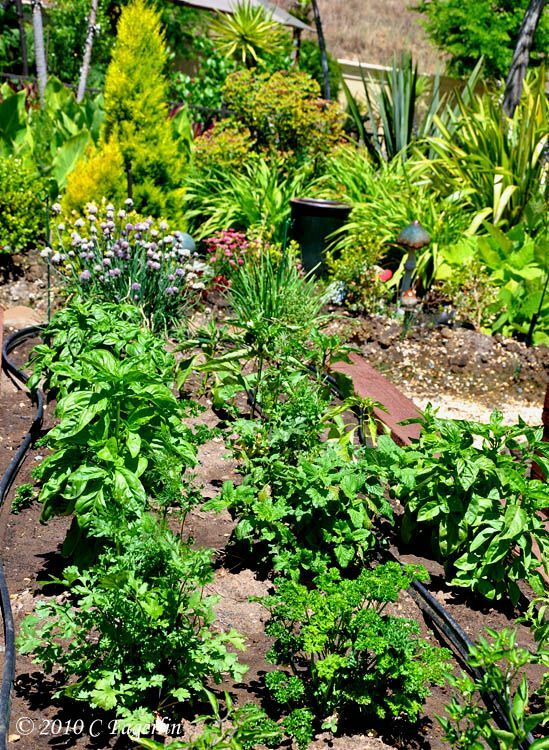 Mostly just strawberries, herbs, tomatoes, onions and peppers in this garden. onions as scallions there won't be enough for any of this. Salsa ........... absolutely a main food group at our house. This was from a couple of seasons ago and is the bounty I'm trying to replicate. 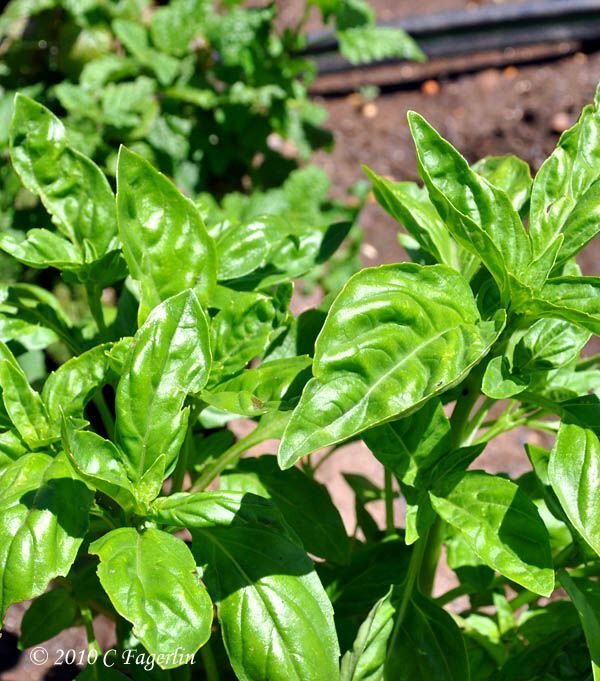 What are your veggie garden favorites? What are you growing this year? raised beds are the best thing I've done in years and years! Hi, visiting from the party and I'm so glad I did. That's a huge undertaking and all of your hard work is already paying off. 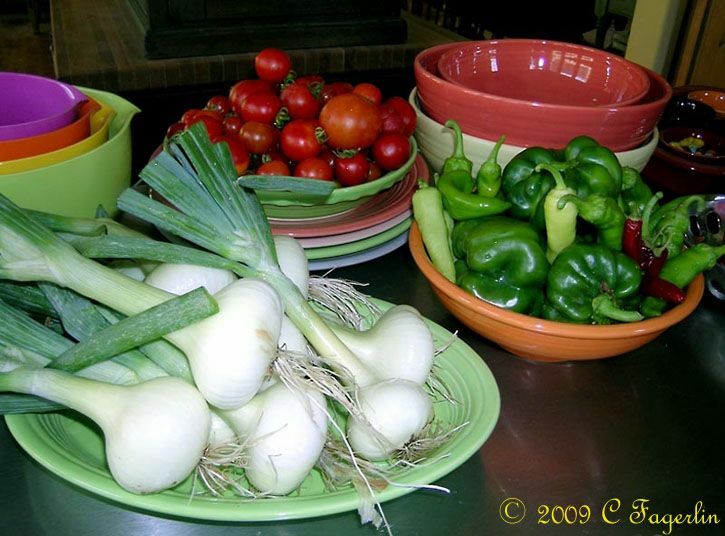 I have never had a vegetable garden but sure do love the harvest from them. You've done a great job! DH has been talking about a garden for years, but we never live where we can have one. No sunny spot! 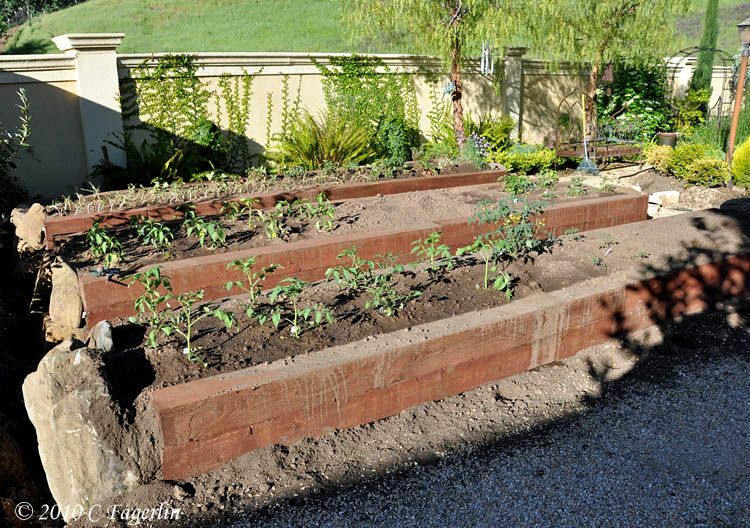 These raised beds are great! 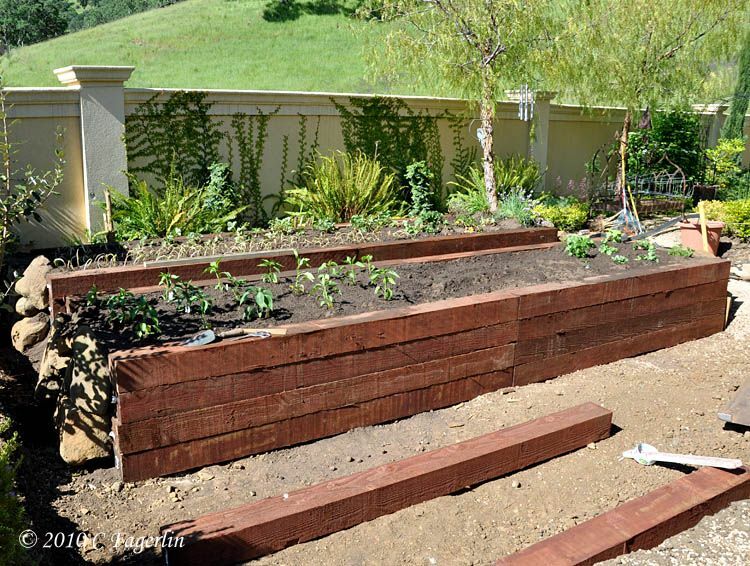 I love to grow vegetables but have never tried a raised bed before. Thanks for sharing your photos! My aching back would really appreciate raised beds like yours. They are just beautiful! Wow! I'm very impressed and know it must have been SO much work. I'm planting herbs and cherry tomatoes in pots on our back deck. We have deer, fox, skunk, bears, turkey and other wilde beasts I don't even want to know about in our back yard. (Hey, that's an abundance of protein! :-) This city gal would not venture to walk to a garden and doubts there would be anything left. Hi Candy! 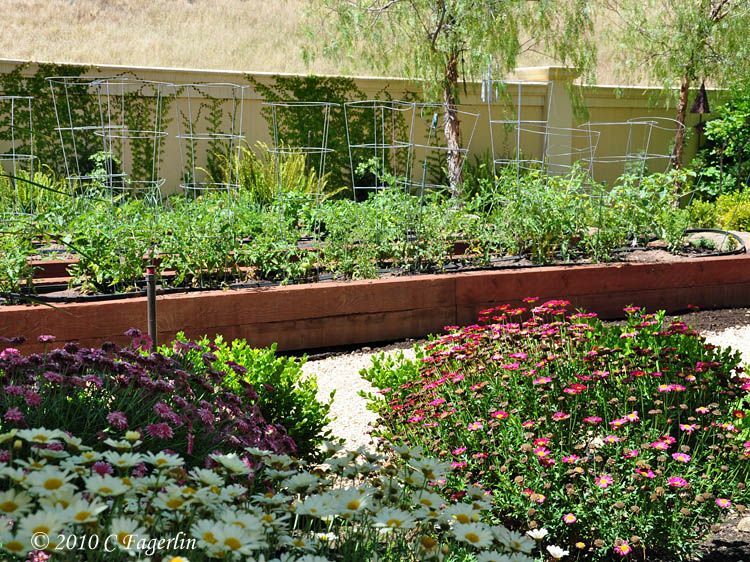 Oh, what a lovely raised garden! It looks wonderful and so healthy! Your veggies from before are so lovely and hope you get some veggies that pretty this year. Fantastic garden! Yummy looking and so pretty too. Beautiful garden, your plants look so healthy. I bet you get lots of goodies soon. Thanks for sharing. No rattlers since that first year here in the garden ...... that first fall my former indoor cat Homer confronted a great big three footer .... it was extremely frightening trying to lure him to safety. He just had no clue what the thing was. Then that next Spring we found three baby rattlers, but none inside the garden since then. Fingers crossed! The bane of my existence in the old garden was a huge colony of ground squirrels and an equally huge colony of pocket gophers ...... they devoured thousands of dollars worth of plants in the 8 years we were there. I hope you all come back to the garden for another visit soon. 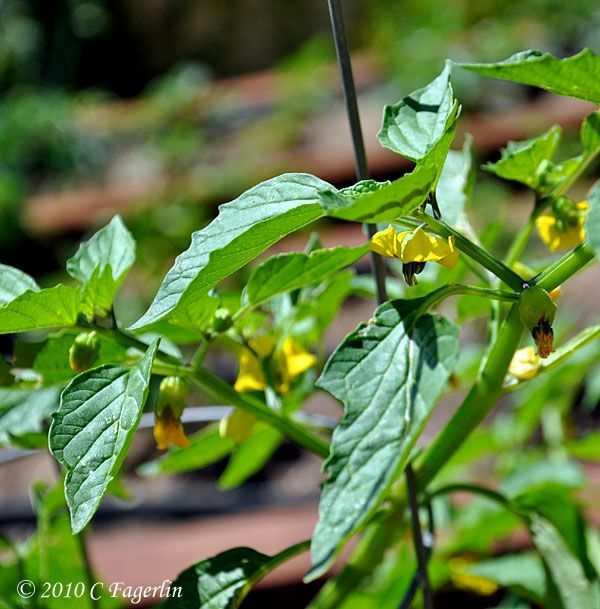 I'll be posting most garden related things over at my sister blog Happenstance Garden which is listed on my sidebar. 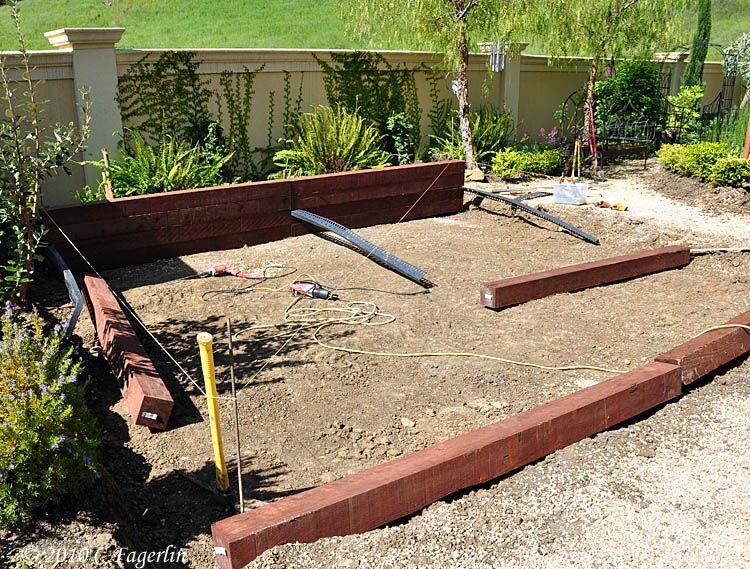 Hi, I love the idea of a raised bed garden. You did a great job and I hope you have a great growing season! I found your blog on Met. Monday and I'm soooo glad I did. 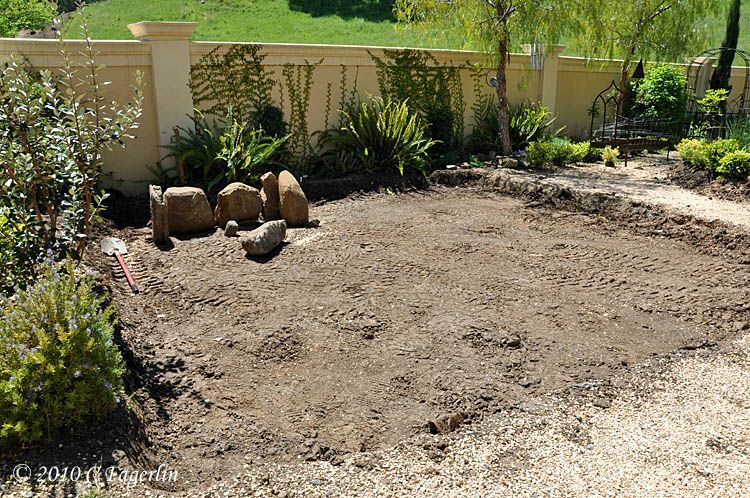 I blog about our garden too, although it is a work in progress. Stop by for a Latte' and check it out. Happy to be your newest follower!!! I thank you all for coming by to see my latest garden project and here's hoping we all have great harvests this year. There is nothing better in this world than a warm tomato just picked from the garden! 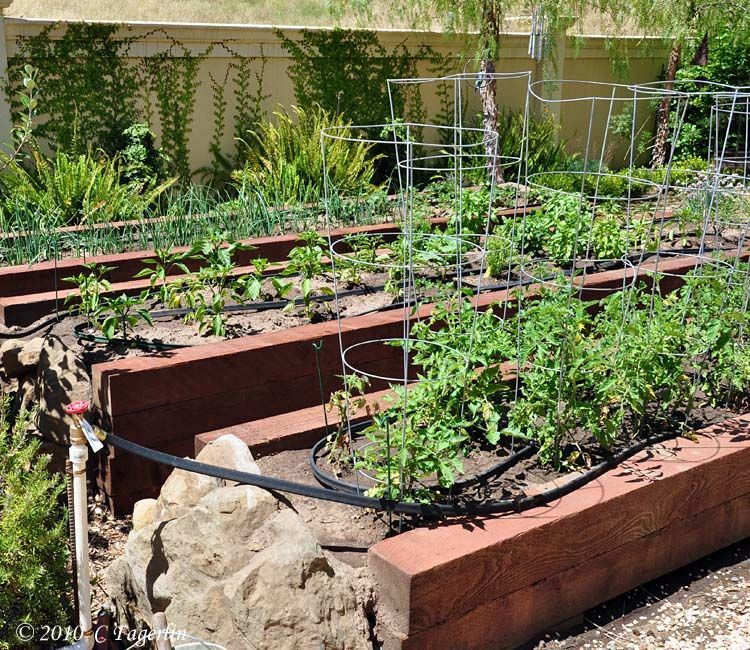 Love the idea of raised beds for vegetables. My husband does the veggie garden, and I do the flowers. Looking forward to some tomatoes for salsa. LOL Donna, how did I know you'd love the tractor??? It is after all just a BIG power tool! Lucky you Marcia ...... and endless supply of summer goodness! Thanks for coming by.